In celebration of Children’s Dental Health Month, TeethFirst! conducted an outreach campaign through child care providers in Rhode Island, to help us reach children under age five and their families. Did you know that 87,562 children age 15 and under in Rhode Island currently receive their dental benefits and care through the RIte Smiles program? ¿Sabía usted que 87,562 niños de 15 años y menos en Rhode Island actualmente reciben sus beneficios y atención dental a través del programa RIte Smiles? This fall, TeethFirst! 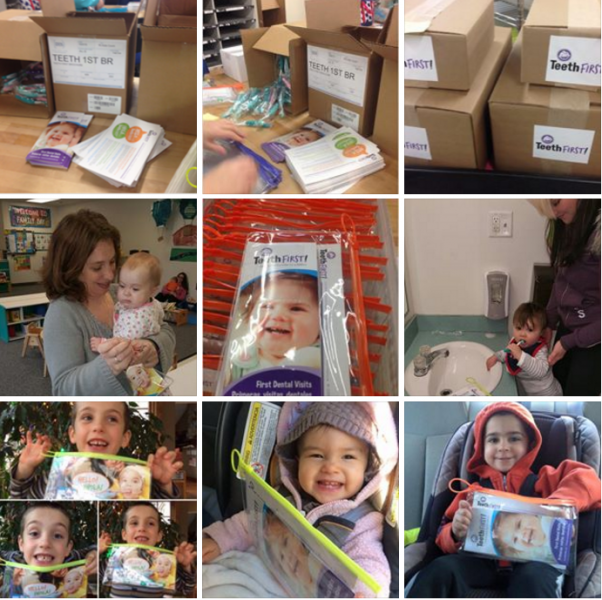 and Rhode Island KIDS COUNT partnered with Project Undercover to distribute over 700 oral health care kits to children and families in Providence. These oral health care kits provide the tools and information needed to put our children on a path to healthy smiles for a lifetime.